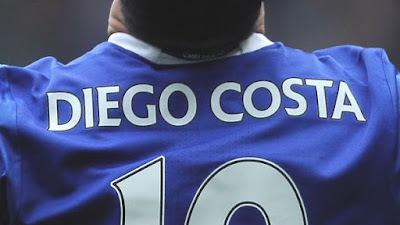 Diego Costa to be sold to Atletico Madrid for £50m which is fantastic business from a Chelsea point of view. Atletico Madrid and Chelsea have agreed a deal worth £50m for the sale of Diego Costa which will put an end to the public feud which has developed over the summer. There doesn't seem to be a day that goes by at the moment where Diego Costa isn't making headlines with interviews given to the press slating Antonio Conte and for the way he feels he is being treated. I love Costa as a player and for the massive contribution he has given to our Premier League title wins in 2014-15 and 2016-17 but now it's turning nasty and being played out in front of the public which is not ideal at all. Chelsea of course have denied everything that Costa has been saying and have made it clear time and time again that the decision for him to leave the club was made back last January. That was made clear to everybody that he would be leaving. The problem for Costa is that he wants only to move back to Atletico Madrid and at present, they have an imposed transfer ban until this January which prevents them from registering any new players until then. So that now leaves Costa with the prospect of missing half a season in World Cup year. Everything looks as though it was going to be a drawn out saga that would run right through to January with nothing agreed with anyone, however credit to Chelsea, who having held firm and insisted on a fee that would make the club a profit with intense negotiations with Atletico, the Spanish side have admitted defeat and have agreed to pay Chelsea £41m to re-sign Costa with potential add-ons incorporated into the agreement that would earn Chelsea an extra £9m. The sooner they sign him and we can put an end to this whole saga the better. Expect a deal to be done before the close of the window and for Costa to be loaned out until January by Atletico.